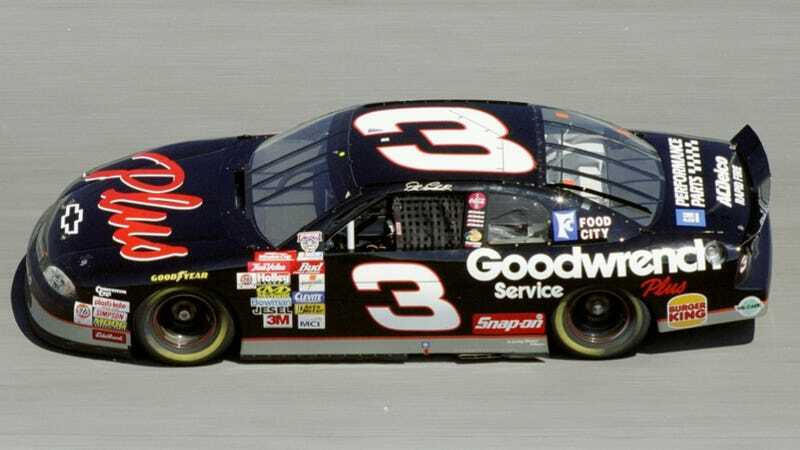 Dale Earnhardt, Sr.'s death at the Daytona 500 in 2001 marked the last time the iconic number 3 appeared on a race car at NASCAR's top level. Next year, Austin Dillon will be moving up to Sprint Cup, and the number 3 will almost definitely come with him. Unlike many sports, numbers aren't really retired in racing. In fact, the only one I can remember was the 99 of Greg Moore after his fatal CART accident at Fontana in 1999, and even then it was still allowed in the IRL, and is back in IndyCar. Earnhardt's famous 3 wasn't retired after his death. Instead, teamowner Richard Childress just put it on ice. He paid each year to own it, but wouldn't use it out of respect for The Intimidator. Childress' grandson, Austin Dillon, grew up using the 3 as his number in karts and then up through the ranks. He's now driving in the Nationwide Series with the 3 and has said he doesn't plan on changing it for when he moves up to Sprint Cup. And apparently 2014 is the year that the 3 will return. While it hasn't been officially announced, Dillon's sponsor today announced it would be moving to Roush Fenway Racing to sponsor Trevor Bayne as Dillon moves up to Sprint Cup, almost 100 percent with RCR in a Chevy. No official announcements from Richard Childress Racing or Austin Dillon have come out, but this is happening. He just better live up to the legend of that number, or he'll have a problem with Earnhardt fans.